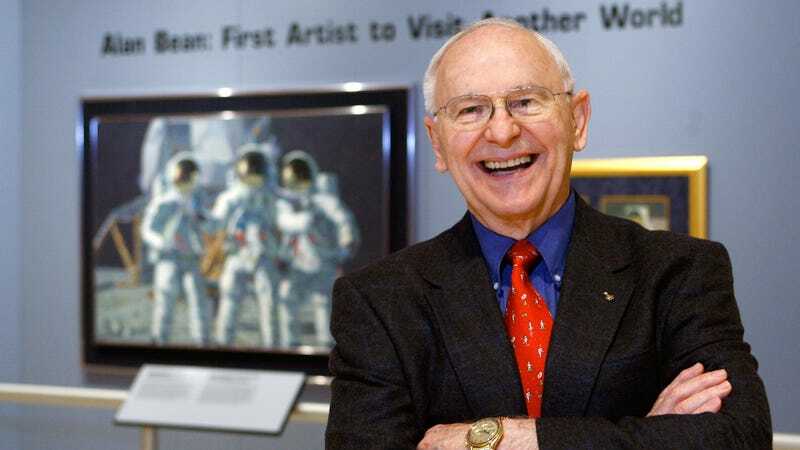 Alan Bean, the fourth of just 12 people to walk on the moon and one of the first Americans to spend an extended period living on a space station, died Saturday at Houston Methodist Hospital. He was 86. A test pilot in the US Navy, Bean was one of just 14 trainees selected by NASA for its third class of astronauts. He was assigned as the lunar module pilot for Apollo 12, the second NASA mission to the moon’s surface, in November 1969. In 1973, Bean commanded the second crewed flight to Skylab, the United States’ first space station. The trip was record-setting at the time, as Bean and two crewmates spent 59 days aboard Skylab. They cover 24.4 million miles, generated 18 miles of computer tape performing surveys of the Earth, and collected more than 76,000 photographs of the Sun. Despite being in line to fly the first shuttle flights, Bean turned down the opportunity to make room for younger astronauts. He continued to have an active role with NASA as the civilian head of its Astronaut Candidate Operations and Training Group through 1981. He logged a total of 69 days, 15 hours, and 45 minutes in space. Following his time at NASA, Bean had a second act as a painter, making good on a life-long dream to become a full-time artist—much to the surprise of his fellow astronauts. “I’d say 60 percent of them thought maybe I was having a midlife crisis,” Bean wrote in his 1998 book Apollo. Many of Bean’s painting captured many of the moments from the moon missions that he and just a handful of other humans have ever experienced. Bean’s work was known for its impressive detail. He would often spend weeks studying existing photos and videos, sometimes even calling other astronauts for their own recollections. With the passing of Bean, there are just four living humans who have walked on the moon. In the exclusive club, Bean is survived by Buzz Aldrin, 88; Dave Scott, 85; Charlie Duke, 82; and Harrison Schmitt, 82.